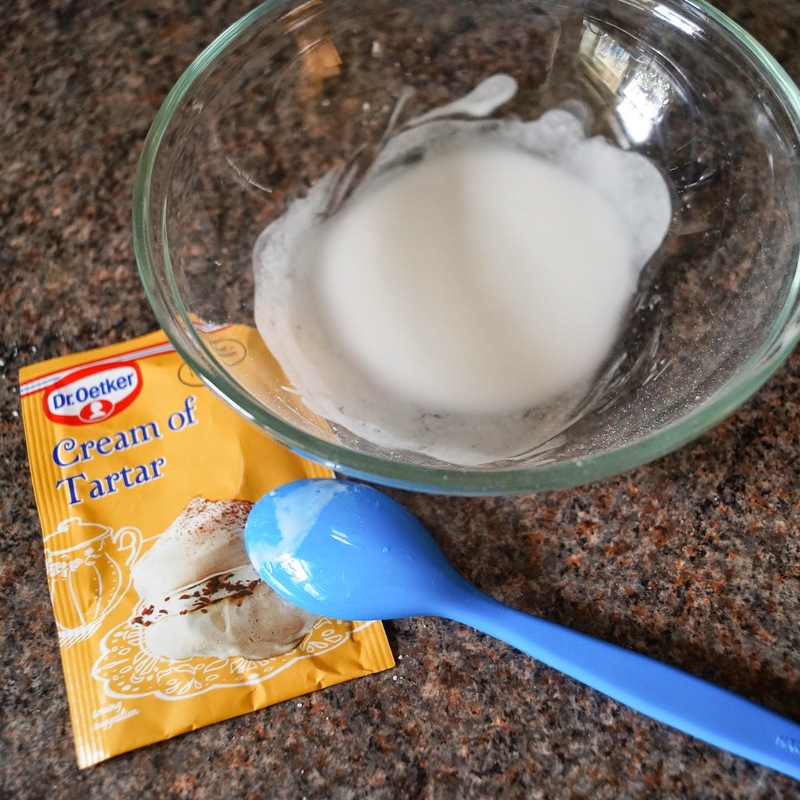 I've seen the tip of using cream of tartar to clean stainless steel on Pinterest (for example this post by a Real-Life Housewife) and decided to give it a go!! 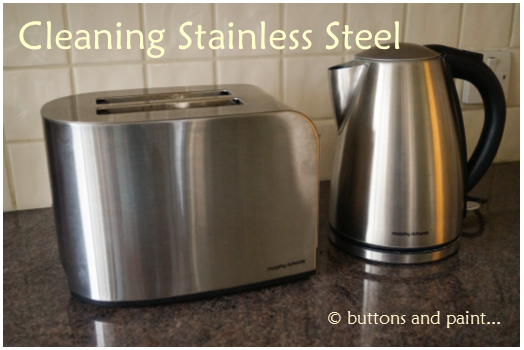 I do occasionally attempt to clean my stainless steel toaster and kettle (not that you can tell from the photos!!). 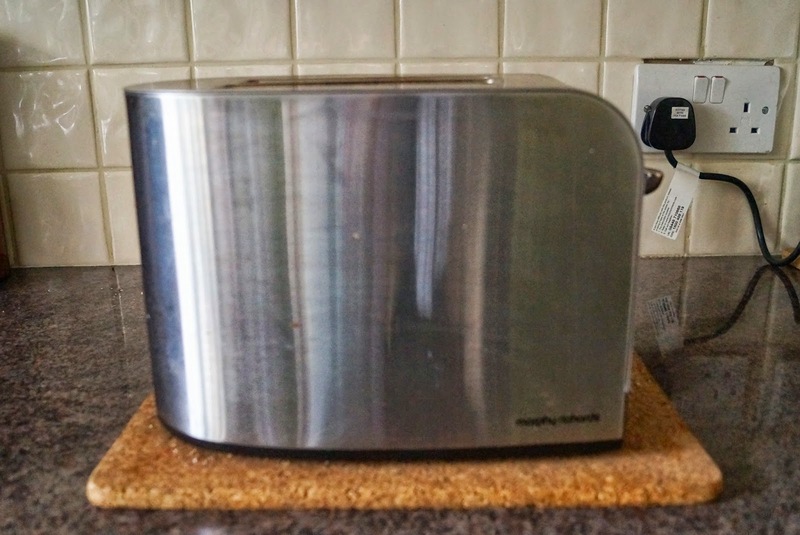 But a wipe with a cloth doesn't really shift the limescale and grime that builds up over time.... or is that just me?! 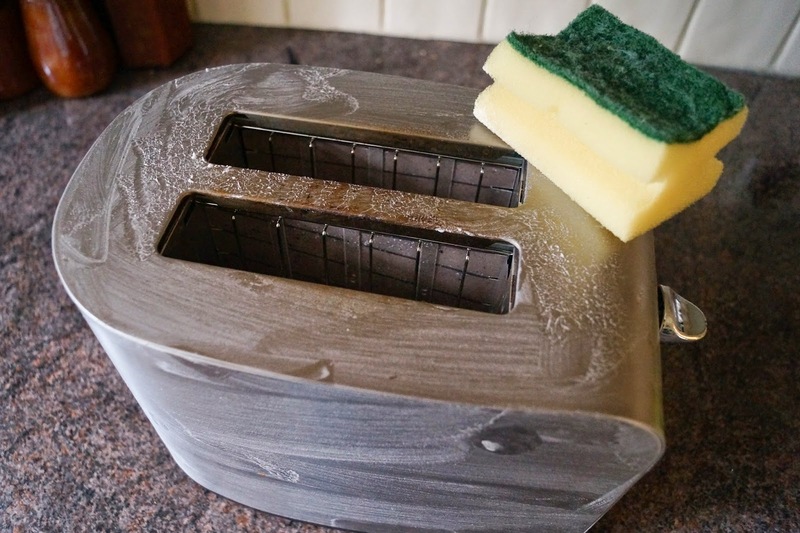 ... then use a soft sponge to cover the appliance. 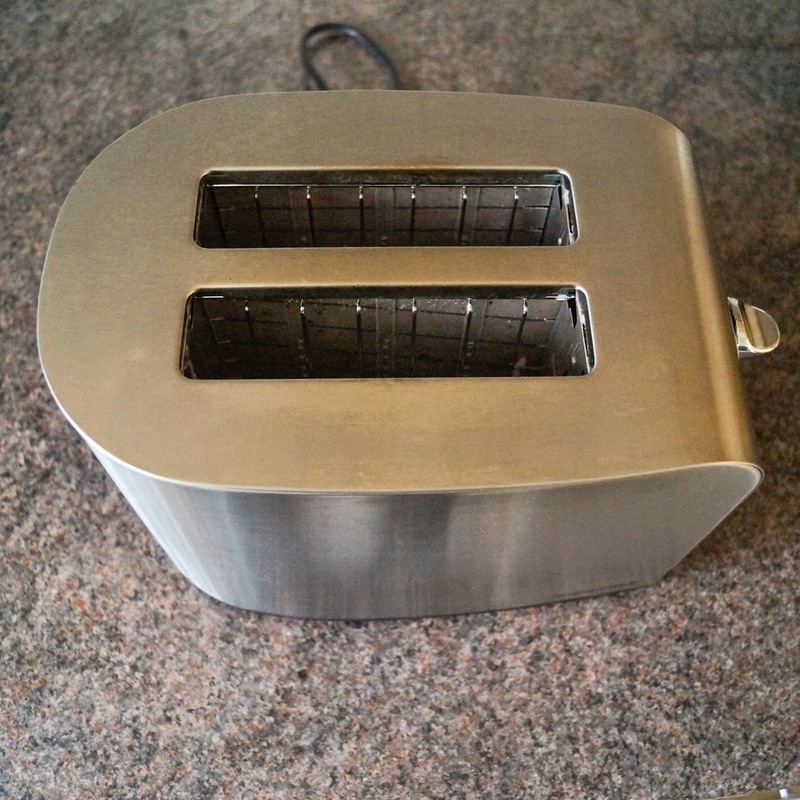 I left it for a few minutes to do its magic, then wiped off with a wet sponge and 'polished' with a paper towel. Ta da, shiny and clean!! 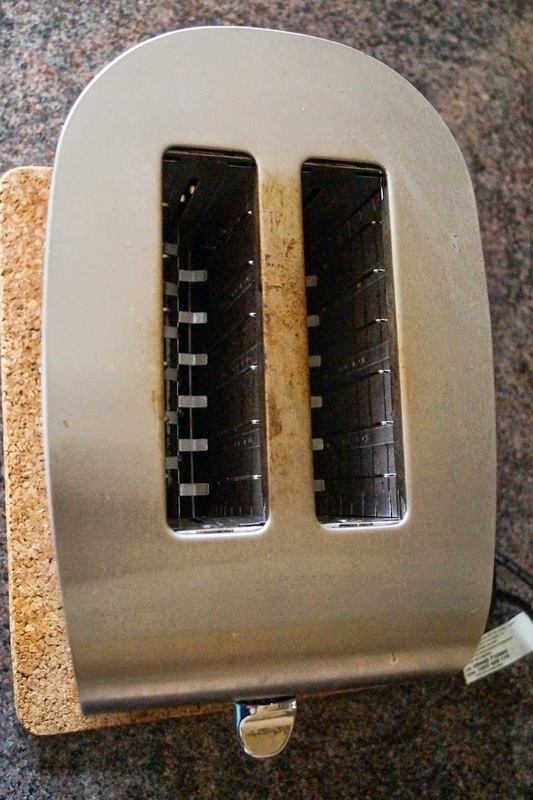 Most of the marks came off with minimal wiping, but there were a couple of marks which needed a bit more rubbing with the sponge. I'd suggest not using a scourer incase it scratches the finish. 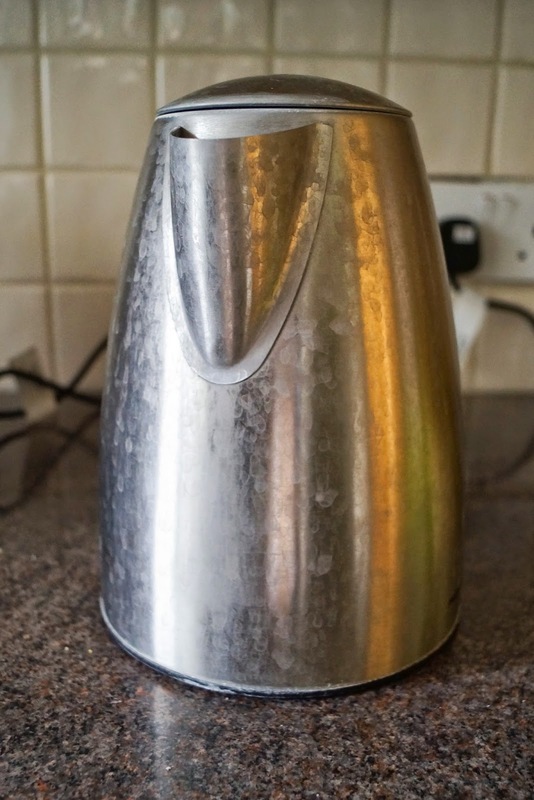 What tips do you have for making sure your stainless steel stays shiny?! Well that does look a useful tip.Thank you. 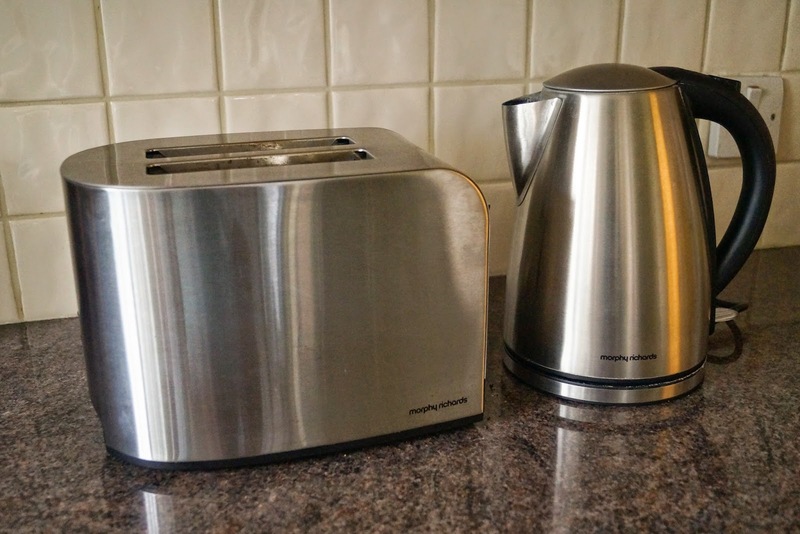 I will have to have a go on my toaster, which is a complete disgrace. What a great idea, I shall definitely be using that tomorrow. Thanks for sharing this. 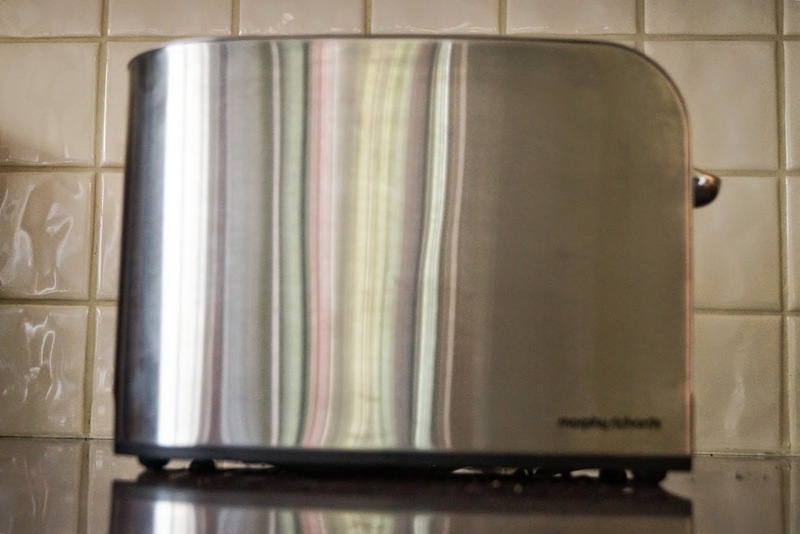 I've spent ages trying to get my cooker to sparkle. I'll be giving this a try. Thanks, I have a few items that need this treatment.